Grid Nirvana's Wifi stats page. If you are a grid owner who wants their grid in the monthly stats report, in our top-25 most popular list, or in our top 40 by land area list, please make sure you’ve got a full stats page. Total land area, either in kilometers, square meters, or standard region equivalents. Unique 30-day visitors (a.k.a. 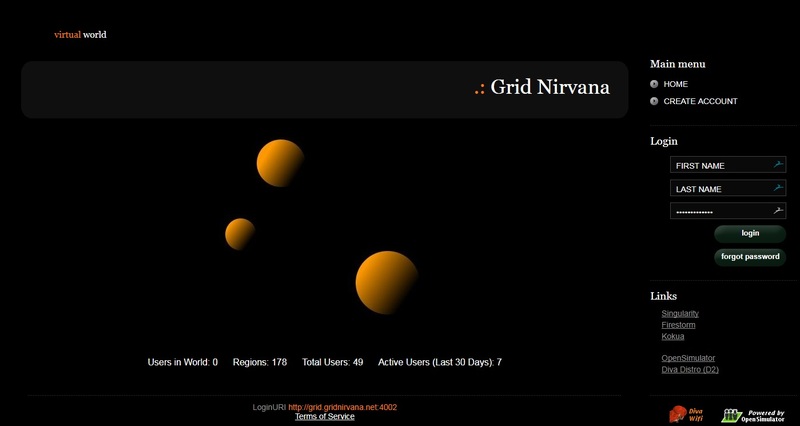 active monthly users), including hypergrid visitors. Baller Nation has a really nice, lean stats page that makes it easy for our database to pull in correct numbers every month. Stats page for the Baller Nation grid. The less other stuff there is on the page, the less formatting, and so on, the easier it is for us to scrape it. How do I create a stats page? Most grid hosting providers will help you set up a stats page for a grid when asked, or even it include one automatically in their service. If you are hosting a grid on your own, or your hosting provider doesn’t have their own stats page format, the Diva Distro Wifi page is a decent alternative. For example, Grid Nirvana uses the Wifi page for its stats page. Grid Nirvana’s Wifi stats page. Our database is set up to pull in Wifi stats without any extra work on our part, so this is a really easy option for everyone. Another option is the OS Simple Stats app. There are plenty of grids who wouldn’t get any benefit from publishing their stats. A school grid or company grid probably wouldn’t care one way or the other, nor a mini grid owned by a content creator who just uses it for building and as warehouse space for their projects. But for grids who want to attract traffic, either in the form of hypergrid visitors who attend events or shop with local merchants, or permanent residents who rent land on the grid, publishing stats can provide some extra visibility. At Hypergrid Business, we also look at stats to decide which grids to include in our most popular list and our largest grids lists. That helps keep your grid’s name up in front of people. We also include every grid that publishes stats in our monthly stats page, with a link to your grid’s website. That’s a fresh, new, in-bound link from a brand-new page on our site every month. 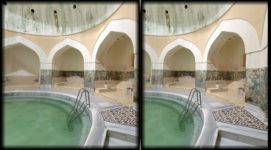 Hypergrid Business is indexed by Google News, so these links actually count extra for improving your search engine rankings. What if the stats don’t look good? We encourage grids to publish their stats even if they’re not going up. First, your stats add to the total of OpenSim activity, showing that OpenSim is a viable, growing platform, and that people should come check it out. That helps everyone. But, more importantly, you can’t tell people that you’ve set growth records, or were the fastest-growing this grid month, or that you doubled your numbers from the previous month, if you don’t have those earlier, not-as-good numbers available. And people will trust your good news stories more if you’ve also been transparent when the news isn’t as good. Finally, if people see a grid publishing numbers that aren’t all positive, it’s a sign that the grid is confident that those numbers will go back up, and that it’s taking steps to turn things around. If a grid stops publishing the stats after a few negative months that is a sign that the grid owners might just be giving up. Why are you comparing my grid to other grids? It’s not fair! No, it’s not fair. Every single grid is a unique creation that should be judged only on its own merits. But people can’t judge you on your merits if they don’t know about you, and the monthly stats report helps people find out about you. Readers love horserace coverage. Would the Olympics be as compelling if everyone just got a participation trophy? And remember that people aren’t actually judging you by the stats in the way you think. Some people are looking for smaller grids where they’ll get more personal attention, for example. Plus, some grids stand out in other ways — they specifically focus on particular niche communities, or hold cool events, or raise a lot of money for charity. The stats report is a place where we publish all those little items that might not be big enough for a story all their own but that could inspire people to visit the grid. And the way we get people in to look at those items is by luring them in with the stats. Bwa ha ha ha. The monthly stats report is an opportunity for the grid to get its name in front of people who are not currently residents of the grid. For current grid residents, grid owners have plenty of communication channels — in-world messages, login screens, websites, Facebook communities, in-world billboards, and so on and so forth. It’s a lot harder to get your name out to people on other grids, or people who aren’t yet in OpenSim at all but are curious about it. So if you have a stats page and it’s not on our list, or have updated your stats page, please email Maria Korolov at [email protected] or David Kariuki at [email protected]. Can I get coverage for my grid without publishing stats? You don’t have to publish stats to get into the monthly stats article. 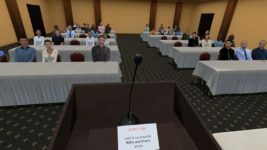 Just send us press releases, event announcements, comments on breaking stories, advice columns, funny pictures — anything that would be of interest to the broader OpenSim community. We’ll be happy to publish it. Again, email Maria Korolov at [email protected] or David Kariuki at [email protected] with your announcements or press releases or story ideas. We also run free ads. 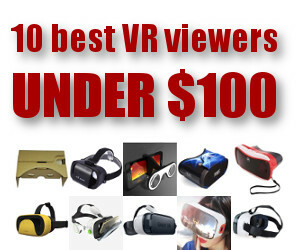 These are ads on the Hypergrid Business website, in the right-hand column, that are free for any grid, no matter whether it is open or closed, and no matter what version of OpenSim they run, or how often the grid owners have threatened to sue us. 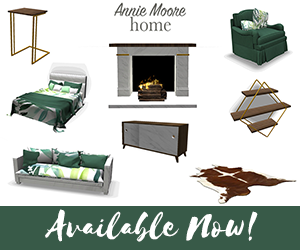 Information on how to get your free ad is here. Also, if you rent regions or offer free parcels, please check that you’re included in our hosting directory and on our free land page. Why do you collect total land area? It’s not fair! If you are a visitor to a grid, do you really care if there are four separate, named regions of stuff, a four-region megaregion of stuff, or a four-region varregion? Do you even know the difference? It’s still the same amount of land, still the same amount of stuff. There are just fewer region names on the map. The only real difference is administrative, how the grid organizes the regions in its database, and how customers pay for those regions. Grid that offer varregions often have much better deals on land than those who don’t. 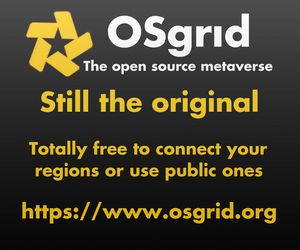 So yes, it’s unfair to grids running old, out-of-date versions of OpenSim that don’t offer varregions. You know who you are. Why do your active user numbers include hypergrid visitors? It’s not fair! If you have an event on a grid, or a store selling content, do you really care if the people attending or buying stuff are local residents or hypergrid visitors? Would you even be able to tell the difference? Hypergrid travel is more convenient to users, because they can use the same avatar, and the same Gloebits virtual currently, on lots of different grids. And it’s more convenient to grid owners because it’s easier for them to attract people to their grids if those people don’t have to create new user accounts first and reconfigure their viewers. 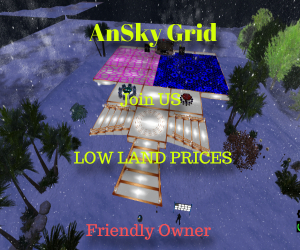 Some grids will event rent land to hypergrid visitors. After all, their money is just as good as anyone else’s. Yes, this is unfair to grids that don’t have hypergrid connectivity. But the problem here isn’t the way we collect the stats — the problem is that closed grids are harder to visit. Of course, being hard to visit might actually be a benefit for some grids, like school grids or those offering proprietary role playing games or grids serving vulnerable communities. 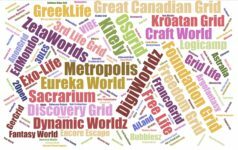 Why do your stats include InWorldz, Kitely and OSgrid? It’s not fair! Basically, for every large, successful grid, there are a bunch of other grid owners who don’t think it’s fair that their grids are being compared with those large grids. In the case of InWorldz, the argument is that they don’t run an off-the-shelf version of OpenSim but a highly customized one, and don’t have hypergrid support. Therefore, we shouldn’t include them. Some people also complain that InWorldz doesn’t contribute to the community — but that’s a myth. They donate code fixes, help out other grids, and have even open sourced their entire platform as Halcyon. Yes, InWorldz uses a different version of OpenSim than most other grids. But any grid can download it and use it. And, in fact, there are many different distributions of OpenSim out there. The Diva Distro is the most popular, optimized for small mini-grids. Should they be in a separate list? After all, it’s not fair to compare Diva Distros to full grids. And there’s ArribaSim and WhiteCoreSim and AuroraSim and whatever the Kitely version of OpenSim is called. Kitely’s is probably the most interesting, since they’ve adapted it to run in the Amazon cloud. That’s pretty much as far from main-line OpenSim as you can get. But Kitely has been able to do that while still being able to take advantage of new OpenSim releases, offering megaregions and hypergrid teleports, and OAR file exports and imports — all the cool new stuff that people want. Kitely, as a very successful commercial grid, is often the target of “but it’s unfair!” complaints because their regions run in the cloud, so when nobody is on the region, the region’s not running. When someone teleports in, it’s spun up again. There’s a bit of a delay to the teleport, but the delay is getting smaller and smaller. So, for actual users, it’s pretty much a non-issue. And it means that Kitely can offer high-powered regions at lower prices than other grids. But grids that run their regions on traditional servers, where they have to pay for the uptime whether or not the region has people on it, don’t think it’s fair. Then there are the free-to-connect grids. OSgrid, for example, allows anyone to connect a home-based region, one that they run on their own computer. For free. The complaint here is that these regions are often underpowered, since they’re often running on old, slow hardware and low-bandwidth residential Internet connections. Plus, when the owners shut down their computers, the region goes offline. So it’s unfair to compare these grids with commercial grids that use real servers for all their regions. Why don’t you have different lists for different types of grids? Because we just don’t have the time to track what version of OpenSim each grid is using, whether they’ve switched hypergrid on or off, whether they’re now allowing open connections, whether any of their regions are cloud-based or not, how much empty land they have, what the average performance of their region is, whether they accept Gloebits, or any of the million other factors people would like to see us look at. Grids keep changing things, there are about 300 active public grids out there, and there’s no automated way to do any of this. We would have to contact each grid owner personally every time and ask them. However, if you want to make a list of, say, the most stable hypergrid-enabled grids from Brazil that use Gloebits, we’ll be happy to run it. And if you publish the list on your own website, we’ll be glad to do a reprint and link back to your original article. 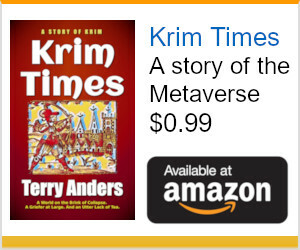 Just email Maria Korolov at [email protected] or David Kariuki at [email protected].